National leader of APC, Asiwaju Bola Tinubu on Tuesday assured President Muhammadu Buhari of the support of the people of South West. He spoke following the swearing in of Gboyega Oyetola as the new governor of Osun State. 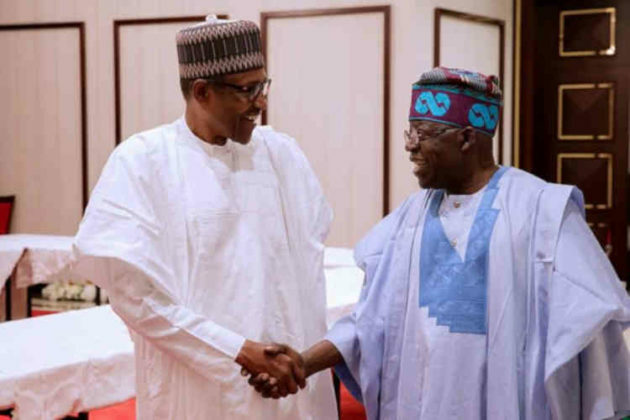 “There is no room for any other party in the South West, ” Tinubu stated adding that if the PDP government laid a good foundation, there would have been no need for the rebuilding programmes by the Buhari administration. He commended the new governor and urged him to build on the achievements of his predecessor.